The International Pyromusical Competition gets under way on Port Hercule’s Grand Jetty in the beautiful Monte Carlo Bay on 25th July. This competition started in 1966 as a firework only competition until 1996 when they introduced music and so the Pyromusical came into being. Once all the competitors have shown their skills, the judging and then the winning display is announced at the latter end of August. The overall winner is honoured with creating the fireworks display which will herald the National Holiday in Monaco on November 18th. 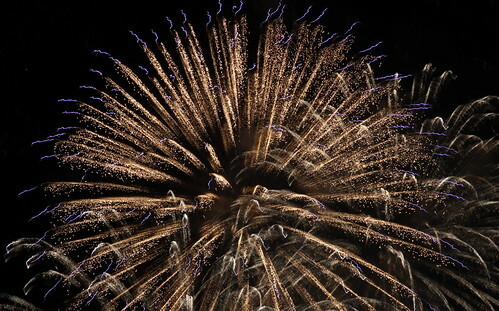 This competition is one of the finest fireworks celebrations in Europe. The competition was originally created by the Mayor of Monaco in 1966, as part of the Town centenary celebrations and has continued ever since. In 1996 music and melody were incorporated into the event and since then, they have continued to ensure that the display and music are finitely choreographed. This is a competition to display a top quality range of pyro and the competing companies have to submit their request beforehand and then the choices are made and the game is on. A jury of people will select the four companies and then they hold displays on the Cote d’Azur where each summer there are two displays in July at 10.00pm and two in August at 9.30pm. The competition sees the competitors battle it out for the prestige of becoming the Years best display and this is voted for both by a panel of judges as well as a secondary vote via the internet. The aerial displays are set off from the Quai Rainier III (the semi-floating breakwater) as the teams hold a 25-minute display to music and they are judged on the most imaginative example of high-quality choreography and effect. Every five years, the winners from previous competitions battle it out to be the champion.